You’ve harvested the early crops that you planted in spring and now it’s time to begin thinking about starting a fall garden. The best garden is one that produces crops through the first frost, and this is doable if you follow the correct steps. This post covers how to start a fall garden and what you need to do to get it going. There are many things you will need to think about before starting a fall garden. The first thing to consider is your USDA hardiness zone, which will tell you which plants will thrive in your area. You should also find out the average first frost date because it will give you an idea of the planting deadline. If you do not know the planting deadline, you might plant your garden too late in the season and end up with plants that never grow to maturity. Also consider where you will plant the garden if you do not already have a garden plot prepared. Watch where the sun hits during different parts of the day to choose an area that gets enough sunlight. As you can see, these are a few of the vegetables that can be planted for a fall harvest, but there are many more. If these do not appeal to you, look for plants that fit your idea of a fall garden, but be sure they are in your hardiness zone and will mature quickly or withstand the first frost. There are two things you should do to prepare the ground for your garden. First, begin to plant your new crops as the old ones die. Is your lettuce looking wilted with spots? Pull it up and replace it with a fall vegetable. This not only gives you an earlier planting date, it also helps prevent diseases specific to the summer plant and helps balance the soil. Secondly, make sure the soil stays cool and enriched by keeping it moist and shaded by something like a trellis. Do not forget to add compost or natural fertilizer to keep the nutrients in the soil well-balanced. You’ll probably be planting your crops in the form of seeds. Luckily, many garden centers put their seeds on discount late in the season. If you want to save at the store, keep this year’s seeds to use next year so you will not have to purchase seeds every year. Planting seeds in the fall is the same as in spring. 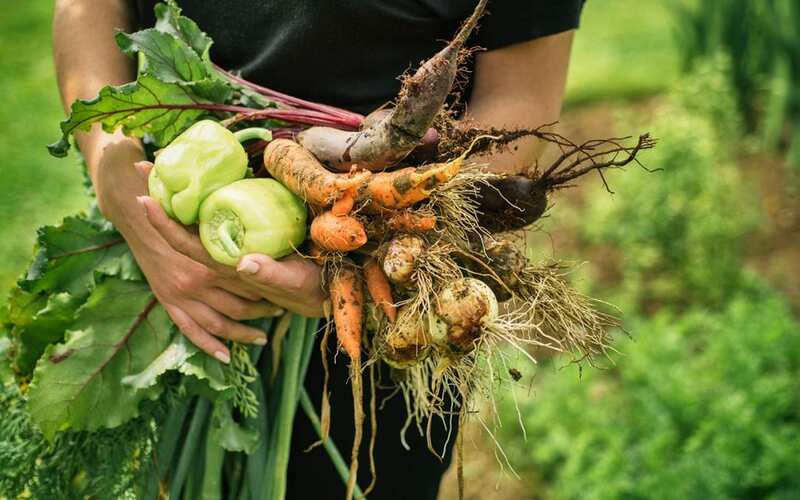 Start with a high-quality mix intended for seed starting for best results and keep in mind that if you live in a very hot climate, most fall crops will do better starting inside. Once your starts are planted, just keep them moist and mulched and they will mature at the rates you researched. Give them two extra days to mature before you harvest as fall weather slows down maturity. The advantage of a fall garden is that there are fewer insects that will ruin your vegetables. When your plants mature, pick the vegetables and enjoy. Starting a Fall garden is quite simple compared to a spring garden. There are fewer pests to worry about and there’s less weeding because weeds don’t thrive as well in fall. With these tips for starting a fall garden, you will have fresh, homegrown produce later in the year. Diligent Home Inspections provides home inspection services to Central Maryland. Contact us to schedule an appointment.